I’ve been interested in the prison system for many years of my life. I feel it has to do with my job. I work at an adult learning center and I have met many people from many different walks of life. Personally, it amazes me when people, despite what they have been through in life, come back to do ‘better’ things. Thus, when I went to watch the play Dionysus in Stony Mountain at the Rachel Browne Theatre, I was in absolute awe. I’m not a theatre person, nor have I been to enough plays to even comment on anything that has to do with theatre, but what a beautiful evening it was to watch a play filled with heartache, intellectual minds, guilt and the desire to do the ‘right’ thing. Ross McMillan plays James Hiebert, an inmate who refuses to take his lithium pills. He’s accompanied by, Sarah Constible who plays Heidi Prober the strong yet confused psychiatrist, encouraging James to finish his pills before his parole hearing in two weeks. 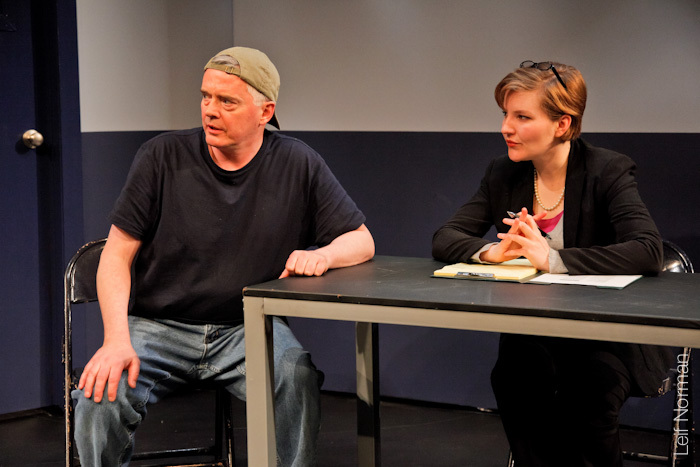 This play explores guilt and making sense of guilt. James tries to make sense of everything by quoting Friedrich Nietzsche, a German philosopher who questions religion and the value of truth. Heidi is intrigued by what her patient has to say, yet confused since she is in a justice system that tells her to stay single-minded and concentrated on only one purpose; get inmates out of prison. The second half is quite surprising since the roles are reversed. I was very shocked to find out that Ross McMillan plays the uncle role to Heidi in the second half. I said to my classmate beside me, “wait, is that the same guy from the first half?” And he is said yes, but I could not believe it. It was interesting to watch Heidi question everything she believed in. I myself have gone through that stage and continue to. The battle of figuring out what the ‘right’ thing to do is like trying to figure out how to balance your life- it’s very challenging. Overall, what would be considered sane, what the right thing to do is and the notion of being someone’s savior are encompassed in this play. It’s deep stuff, I tell you. But you will not be disappointed. 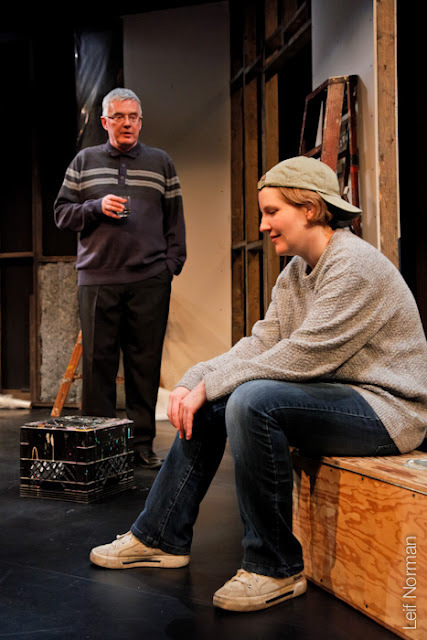 Dionysus in Stony Mountain, by Steven Ratzlaff, directed by Bill Kerr is playing March 29-April 8 at the Rachel Browne Theatre.